Take a tour round Into Space and you will come face to face with astronauts, spacesuits and our journey into space. 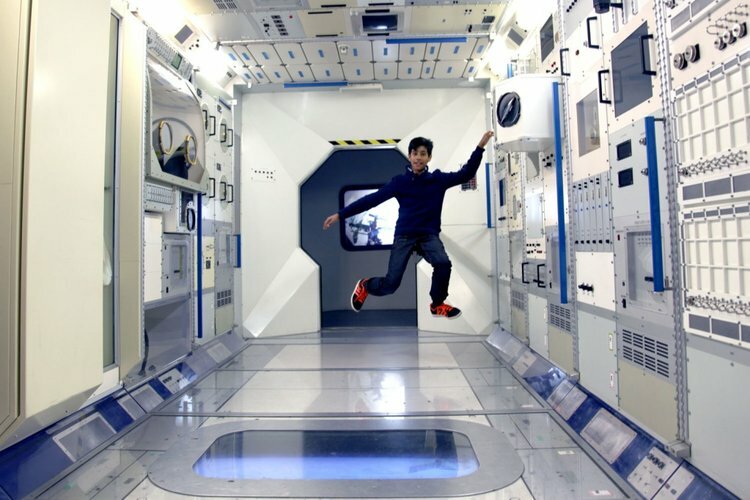 Not only will you walk through a mock up of the Columbus Module from the International Space Station, but you can also discover the answer behind the most asked question asked at the National Space Centre, how do you go to the toilet in space? Discover six galleries, including the iconic Rocket Tower and the UK’s largest domed planetarium, crammed full of space suits, rockets, satellites and meteorites.